What we will cover: Learn how to style, explore the latest decorating themes, decorating tricks from the experts & creating a mood board around a theme & style for your living room, the art of styling & creating vignettes, finding your style. Effective furniture and accessories placement and planning. Learn how to understand the basic principles of styling & decorating in a friendly class environment. Find your own decorating style personality and create your own mood board to reflect your unique style. Expand your knowledge, unlock your creativity. Cut-off date: Enrolments close one week prior to the workshop date or once the class has filled. The cost: $300.00- book early, as only twelve places per workshop. Deposit: A non-refundable deposit of $100:00 is required to secure a place. Balance: To be paid on the day of the workshop or full payment with enrolment. What to bring: magazine or printed pictures of your favourite style that inspires you for your living room. Lunch. What is provided: refreshments ( tea, coffee etc.) cardboard to create your moodboard, glue and scissors to use during the workshop. Who should attend: styling and decorating enthusiasts plus anyone interested in finding out more about our Interior design & decorating courses. Seek out the individual in you and express your personality with the assistance of design professionals that cares about your needs and success. Find out how to focus your ideas and turn them into a reality. Serena’s Image can help you organise your priorities and investments to achieve results with ease and confidence. 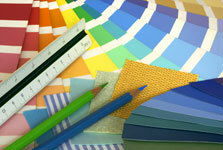 Enlist in the services of a professional who works, teaches and writes in the field of interior decorating and design. All workshops require a minimum number of students. In the event of insufficient numbers, you may transfer to the next available workshop or request a refund. Have you wondered how interior stylists and colour consultants have the unique ability to create a room successfully with ease? Would you like to be able to arrange vignettes and interiors that look as though they are magazine worthy? What we will cover: Learn how to style, explore the latest decorating themes, decorating tricks from the experts & creating a mood board around a theme & style, the art of styling & creating vignettes, finding your style. Effective furniture and accessories placement and planning. Learn how to understand the basic principles of colour, styling & decorating in a friendly class environment. Find your own decorating style personality and create your own mood board to reflect your unique style. Expand your knowledge, unlock your creativity, bring out your inner stylist. Cut-off date: one week prior to the start date or once the class has filled. The cost: $1050.00- book early to ensure a place. Deposit: A non-refundable deposit of $350:00 is required to secure a place. Balance: To be paid on the start day of course or full payment with enrolment. What to bring: magazine or printed pictures of your favourite style that inspires you for your living room, pen, glue stick & craft glue, scissors to use during the course. What is provided refreshments,designer fabric samples for project use, colour wheel, journal folder, subject course handouts. Who should attend: styling and decorating enthusiasts plus anyone interested in finding out more about interior design, styling, colour & decorating. Seek out the individual in you and express your personality with the assistance of adesign professional that cares about your needs and success. Find out how to focus your ideas and turn them into a reality.